Monte Carlo: Reigning Australian Open champion Caroline Wozniacki says she believes she can go "all the way" at next month's French Open, but is wary of a possible early clash with the returning Serena Williams. The Dane edged out Simona Halep in a thrilling final at Melbourne Park in January to finally claim her maiden Grand Slam title and is confident that a second isn't far away. 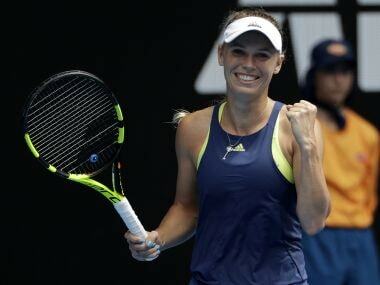 "I'm excited about the challenge and I definitely believe I can go all the way, it's not going to be easy, but I believe in myself," Wozniacki told AFP in Monaco. "I'm playing so well and when I play my best tennis I'm really hard to beat." Wozniacki returned to the top of the world rankings with victory in Australia, but has since relinquished the No 1 spot to Halep. She said that she was glad to no longer face questions about having been No 1 without winning a Grand Slam title. Despite Halep being ranked the best player in the world, Wozniacki feels as though she is now seen as the player to beat. "I don't think it makes much of a difference whether I'm one or two, because I won in Australia and they know I'm the one with the last Grand Slam under my belt, so you definitely always have a target on your back," she added at a sponsor's event for tech start-up Lympo. 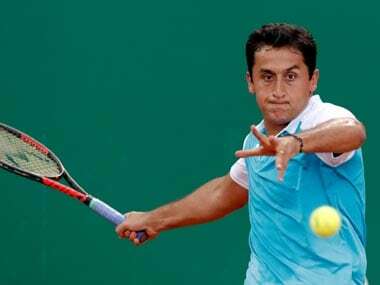 "But I love that I can go into a French Open without too much pressure on myself." Unlike in the men's game, where Rafael Nadal has won 10 French Open tournaments since 2005, no one female player has dominated on clay, with even Serena Williams finding only three of her 23 Grand Slam titles in Paris. "I feel like there are no real clay-court specialists on the tour right now and I think that makes my motivation even better," said Wozniacki, who lost in last year's French Open quarter-finals to eventual champion Jelena Ostapenko. 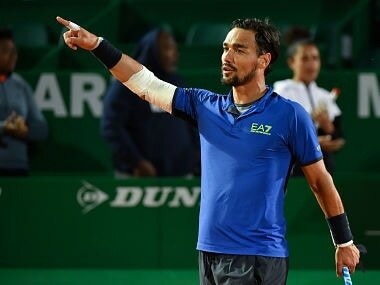 "I definitely think that I've improved (on clay), but over the course of my career I've won a few tournaments on clay before so it's all about trying to get things to click and get that feel back." Serena Williams was named on the French Open entry list on Wednesday as she returns to Grand Slam action for the first time since winning last year's Australian Open before taking time off to give birth to her first child. 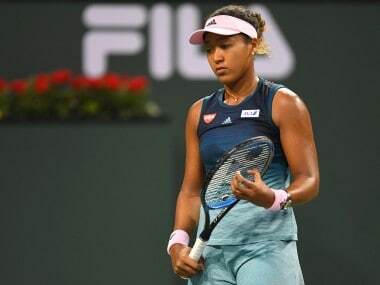 Her return hasn't gone to plan so far with defeats in Indian Wells and Miami to sister Venus and Naomi Osaka respectively. But now ranked 445 in the world, former World No 1 Serena will be the unseeded name in the draw that everyone wants to avoid. "She's definitely a dangerous floater, it's never fun to play Serena, early on especially," conceded Wozniacki. "It's fun to play her in the last stages and play the best players, but you just have to hope that she won't be in your half of the draw." Wozniacki had an excellent season last year but struggled to win tournaments, losing in six consecutive finals before winning in September in Japan. She followed that up with victory at the WTA Finals in Singapore, which she says was the springboard for her Australian Open success. "Winning Singapore was a huge motivation and playing so well I was just hoping that I could carry that on until the start of the year. "Playing the top eight players and beating Simona (Halep) 6-0, 6-2 and then beating (Elina) Svitolina 6-0, 6-2 gave me a lot of confidence that made me feel really good about my game."